On Tuesday, March 24, 1941, you wrote (part of your last journal entry): A curious sea side feeling in the air today. There’s something about springtime at certain latitudes (like East Sussex County, England, or the Midwest, U.S.) and those sometimes violent thunderstorms that blow up without much warning forcing crocus, hyacinth, daffodils, and tulips to wake from their winter slumber, forcing forsythia bushes and magnolia and crabapple trees to bloom. Had you flung open the cottage windows that day (or was it still too cold)? Shaken the oriental rugs, dusted the blown glass paperweights, the hand-painted lampshades and the asparagus green candlesticks? Did you consider the distance (just past the garden) to the Church of St. Peter from the steps of your kitchen door? Had you thought of the spring equinox (March 30) and Easter coming (April 14) and the communion bells (Now we move out of this cool temple, into the yellow playing fields2) and forgotten for a second the war and your sadness and remembered a time when everything was still fresh and new like it was long before that summer you had another mental breakdown and imagined birds in the garden singing in Greek (αγαπητός) and King Edward VII swearing at you from behind the bushes (never trust a king or anyone else for that matter, who doesn’t swear once in a while), before the deaths of your mother, your half-sister, your father and your brother, before the jumping out the window (not high enough) and the pills (not strong enough) and your marriage to Leonard, before the hospitalizations and the leather straps (I remember needing to be restrained) and the River Ouse. On Friday, March 28, 1941, as you (59) were leaving your cottage (in the village of Rodmell) and walking the fifteen minutes or so past farm fields and clover before coming to the River Ouse (where you set down your hat and cane and collected rocks to fill your pockets) my maternal great-grandmother (60) would be dying of cancer two years later almost to the day. My maternal grandmother (31) was already twelve years out (and two more children in before the birth of my aunt and mother) from her first marriage to a blond-haired and doomed Saint Paul, Minnesota, gangster. Ernest Hemingway (42) was in Hong Kong on an extended honeymoon with his third wife, Martha Gellhorn. Future novelist Muriel Spark (23) was settled in London after having left her husband and infant son in Africa to begin pursuing her writing career. My father (13) was getting ready for school at his grandmother’s Grant Street apartment (125) in Portland, Maine. The British Royal Navy defeated Italy in the battle at Cape Matapan (did you get that news or were you already walking?) and WWII (no more fighter planes flying over the cottage) would be over four years and six months later. Our heads were filled with pestilence and glitter. Like when I (15) had that first psychotic episode (What a born alcoholic I am!) after my parent’s divorce, after moving out of our family home with my mother and leaving my brother alone to live with our father, after buying a guinea pig (who I named Angel) trying so desperately to recreate that sense of childhood safety and stability I’d once felt—cocooned in with my mother (opposite the starkness of my father) and our menagerie of small pets, before the bike rides out Pheasant Branch Road and into the country, before that giant devil-hand clamped down on my head (trying to squeeze out the voices), before I locked myself in my bedroom and shattered one of my maternal grandmother’s dark green plates (the ones with gold leaf trim) and screaming, cut my wrist and arms with the broken pieces and how my mother (terrified) forced open the door and scooped me up (still screaming) into the car and drove to the hospital where I (then hyperventilating) kept threatening to jump out of (but didn’t) the car. Sussex Ouse sea trout return from the sea, entering the tidal reaches of the river in May before beginning their June migration (They have made all the days of June—this is the twenty-fifth—shiny and orderly, with gongs, with lessons, with orders to wash, to change, to work, to eat5) driven toward feeder streams further inland where the water is cooler and more oxygenated. We were not like other girls. We (?) preferred our whiskey straight not shaken and our women and men dark-haired and serious/sensuous/frivolous (Look here Vita—throw over your man, and we’ll go to Hampton Court and dine on the river together and walk in the garden in the moonlight and come home late and have a bottle of wine and get tipsy, and I’ll tell you all the things I have in my head, millions, myriads—They won’t stir by day, only by dark on the river. Think of that. Throw over your man, I say, and come.6). Didn’t we set out (consciously and unconsciously) to devour those same women and men (literally or figuratively) like the Mares of Diomedes or those jealous, clucking Naiades and how we still insulated ourselves, built walls and towers and cathedrals spiked with glass shards and barbed wire to keep them from really loving us? Remember how our belief in malevolent forces was never questioned? A belief (100% certain) in ghosts and hauntings and how I was sure that ghosts were haunting the dried up river bed along Pheasant Branch Road (where I rode my bike that day, trying to outrun the darkness, whispering to clouds) and how I thought a ghost had entered my body without my permission and sent me spiraling, cutting wrist and arms with those broken off pieces of my grandmother’s dark green gold leaf trimmed plate? And still (and yet still), how the disbelief (100% certain) in benevolent forces like angels and celestial beings and even a loving God was never once questioned? Never once would I let myself get to the bottom of things like the reason why (aside from a mind-numbing physical attraction) I (21) began that relationship with a (then) married (among other complications) older man and the secrets we kept and the coming out only at night or only out of town where I was free to pretend that what was going on was perfectly normal and right. There was a pregnancy and an abortion (I cannot be a mother—I cannot) and then there was another pregnancy and another abortion and how I tried so hard to destroy the truth that the heart will (eventually) not be denied. Remember that sweet tabby cat who survived my moods and rages and the beautiful gray Siamese mix (like your cat Sappho) and how she and her gurgling howl would die of natural causes seven years later in my tiny studio (the first time I’d ever lived alone) and how I would crumble at the loss of her, at the ripping away (again) of the scab (already so threadbare) that covered over that deep, existential mother/father/God wound? You set down your soup spoon. You picked up your cloth napkin. You set down your cloth napkin. You picked up your pen (your favorite?). You set down these words: Dearest, I feel certain I am going mad again. I feel we can’t go through another of those terrible times. And I shan’t recover this time. I begin to hear voices, and I can’t concentrate. So I am doing what seems the best thing to do. You have given me the greatest possible happiness. You have been in every way all that anyone could be. I don’t think two people could have been happier till this terrible disease came. I can’t fight any longer. I know that I am spoiling your life, that without me you could work. And you will I know. You see I can’t even write this properly. I can’t read. What I want to say is I owe all the happiness of my life to you. You have been entirely patient with me and incredibly good. I want to say that—everybody knows it. If anybody could have saved me it would have been you. Everything has gone from me but the certainty of your goodness. I can’t go on spoiling your life any longer. I don’t think two people could have been happier than we have been.7 You picked up your resolve. You set down your spectacles (or were they Leonard’s?). You picked up your knitting (all of the scarves and socks I will ever knit, have already been knit—hélas!). You set down your knitting. You picked up your cat (Sappho or Pluto?). You set down your cat. You picked up your keys. You set down your keys. You picked up your hat (which one?). You picked up your cane a.k.a. your walking stick. Remember how Dylan Thomas said, I hold a beast, an angel and a madman in me?8 Which naturally implies that we all (Leonard included) hold a beast, an angel and a madman in us though most of us are much better at hiding it or projecting it out onto others, so much so that we generally refuse to even consider the possibility of especially the part about the beast and the madman. What I’m trying to say is that despite our husband’s (perhaps) appearances otherwise, we have no reason to feel inferior to them or to anyone else because of our past histories with mental breakdowns and/or mercurial moods. Motto novum: I’m a madman, you’re a madman (we are all madmen). The darkness felt like a steel trap in (some of) us, like a Titanic hitting an iceberg and going under at 2:20 a.m. (April 15, 1912), like a grisly shark attack in a cold impersonal sea, like a stagnant fish bowl (the Siamese fighting fish—belly up), like a clawing out from underneath damp (self-pity infused) earth, coupled with an intense (devouring) hunger for love and fear of love and fear of the hours and the burning away and the resurrection (and the dark to light). We were tied to the ship’s mast, we were tied with an anchor. We passed through the Straits of Gibraltar, we passed through the Siren’s Song (sit tight my love, it’s okay, clouds can’t hurt us). Did you know that some of your photo albums were published recently online?9 There are pictures of friends playing boules in the garden and there is the old port in Carnac, France, and Leonard’s pet marmoset sitting next to a green (?) hat. There is T.S. Eliot smiling and Vivienne frowning and there are the cats, Sappho and Pluto, lounging in the sun. There are the snowy farm fields (without clover) and there is the River Ouse (?) flooded in spring. And there you are and how I search your face now for the young girl in you, before your features were set in sadness before you looked so much older than your fifty-seven or so years (1939-1940) seen especially in that photograph of you sitting in a floral armchair in your bedroom (?) (Virginia Woolf reclining in an armchair, undated. Gelatin silver print; 8×10 centimeters) where it seemed like the life had already gone out of you. You (Virginia—virgin, maiden): a shimmering moth-wing (hay-colored and tasseled), a phantom ship, a will-o’-the-wisp who once said, What a born melancholiac I am! March 28, 1941, Swiss psychoanalyst, Carl Jung’s (66), The Red Book a.k.a. Liber Novus, still safely secreted away from public view, would be published in 2009, forty-eight years after Jung’s death (June 6, 1961—twenty-six days before Ernest Hemingway’s suicide on July 2, 1961). Remember how even after I was married (post-sobriety, post-Catholic Church conversion) I was still prone to those mood swings and rages especially isolated in that tiny village near Nîmes, France, where my husband and I had settled? How I ended up requesting an exorcism from a local priest who seemed shocked but found an exorcism unwarranted and yet still didn’t know what (the hell) to do with me. How I’d wished so badly that the reason for my troubles could have been something as simple as demon possession instead of having to, at some future point, roll up my sleeves and begin going deeper into that Jungian process of individuation. What if those of us who jumped off a bridge, tightened a noose, pulled a trigger, took a handful of pills, shut the garage door and started the engine would have had just one extra second between the thought (obsession) and the act? Would we walk back (full of relief and splendor)? What if our lives could be anything, anywhere, with anyone or with no one at all (we are free to change course at any moment). What if our pasts could be forgiven, every slight forgotten and all guilt banished? What if saving our lives meant leaving (definitively or indefinitely) our writing (and/or parents, alcohol, drugs, wives, husbands, lovers, jobs, etc.)? Would we choose it? 1 Virginia Woolf’s epitaph (from The Waves). 2 Virginia Woolf, The Waves (Penguin Classics, February 2000), 26. 4 Woolf, The Waves, 127-128. 5 Woolf, The Waves, 29. 6 V. Sackville-West and Louise Desalvo. The Letters of Vita Sackville-West to Virginia Woolf (William Morrow & Co; 1st edition, January 1, 1985). 10 Woolf, The Waves, 159. 11 Variation on Woolf’s opening sentences of The Waves. 12 Woolf, The Waves, 228. Jody Kennedy is a writer and photographer living in Provence, France. 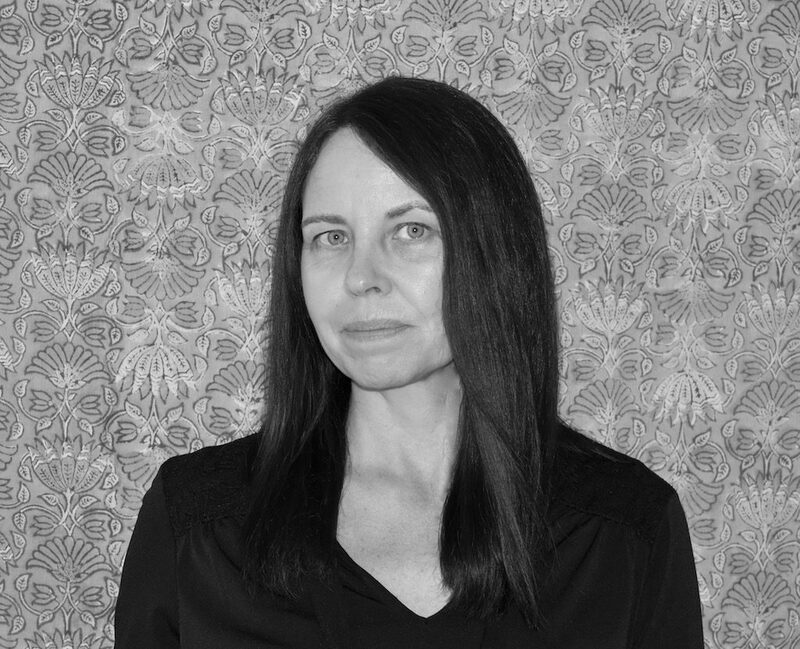 Her work has appeared or is forthcoming in Fairy Tale Review, DIAGRAM, Tin House Online, Electric Literature, and The Georgia Review, among others.